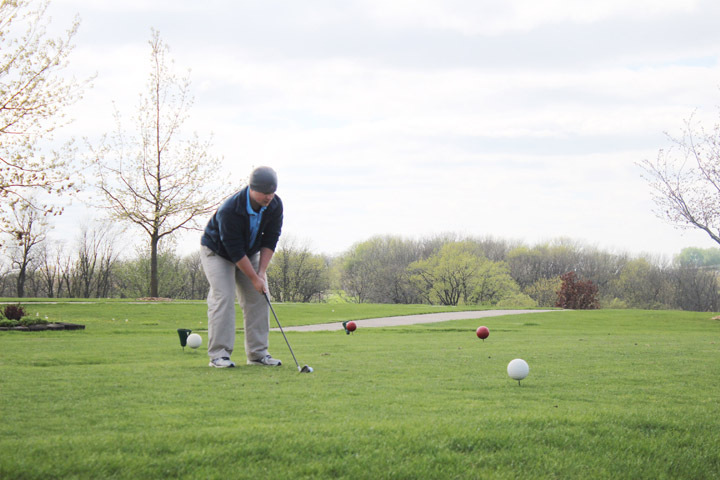 The L-S boys golf team hosted another home meet last Thursday, Apr. 27. The Hawks faced off against an SICL opponent, the Keota Eagles, and fell by a score of 206, while the Eagles shot a 172. “We are getting to be smarter golfers and starting to really focus on our short game. There are a lot of strokes to be made up there,” said head coach Justin Hagedorn. Senior Isaac Collins led the team with his best score of the year, shooting a 46, which placed him in fourth, just two shots away from third. Junior Holden Jansen placed just behind Collins with a 47. Sophomore Abram Collins was third on the team with a score of 53, and senior Trevor Squires finished off the team score with a 60. Freshman Logan Ingersoll also played a round and shot a 62. The Hawks’ next meet will be the SICL Conference Meet on Monday, May 8, at Oakland Acres.